The Virginia Cooperative Extension State Extension Leadership Council (VCELC) is made up of representatives from each of the 22 planning districts in Virginia, representatives of programmatic advisory groups, and administrators. 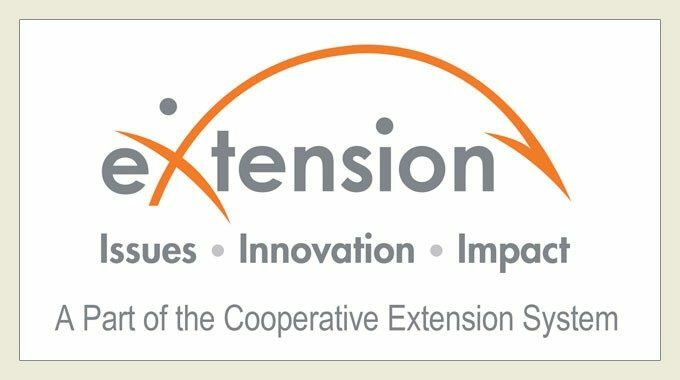 The mission of the council is to advance and promote the educational program of Virginia Cooperative Extension. The VCELC meets in person twice per year, and sub-committees conduct business throughout the year. If you would like to become a volunteer member of the VCELC, please contact Lonnie Johnson at lojohns2@vt.edu or 804-527-4251. The goal of the Advocacy committee is for VCE to have the resources needed to carry out its programs. To this end, the Advocacy committee works with the VCELC and the Unit ELC’s to assure that stakeholders (local, state, and federal elected officials, University administrators, and key clientele groups and leaders) understand and value VCE and that stakeholders understand the resource needs of VCE. The proposed annual advocacy plan for VCELC shall be developed by this committee and presented to the council. The Communications and Marketing committee shall develop, nurture, and recognize the value of local ELC’s. To this end, the Communications and Marketing committee will promote the ELC concept and communicate the value of successful local ELC’s to the VCE and audience: agents, volunteers, administrators, and other stakeholders by identifying and sharing local ELC best practices across the state. The executive committee's primary role is to provide leadership for the VCELC. The executive committee shall consist of the Chair and Vice Chair, the Director of VCE at Virginia Tech, the Administrator of VCE at Virginia State, and the VCE faculty member(s) assigned to work with and support the VCELC. The vice chair shall perform the duties of the chair in the event of the chair's inability to carry out the functions. The executive committee should focus on and develop the internal program of the VCELC itself. This will include the development of the calendar, locations of the year's activities, as well as the agendas of all meetings. The agenda for all regular meetings shall be mailed to the membership two weeks in advance of such meetings. The proposed internal program shall be presented to the VCELC members for input and adoption. The executive committee shall review the internal program plans of the VCELC on a timely basis and recommend corrective actions that are warranted as a result of the review. The report of the review shall be made to the VCELC for their input and adoption. The executive committee shall act on behalf of the VCELC when time and circumstances preclude the involvement of the entire council. Actions of the executive committee shall be reported to the entire VCELC Council at its next regular meeting. The membership committee shall have the responsibility for the recruitment and nomination of the elected members of the VCELC, the planning district volunteer members of the VCELC, and officers of the VCELC. The Director of VCE at Virginia Tech is responsible for recruiting and appointing At-Large members. The Director may request the membership committee to assist in the recruitment of At-Large members. The orientation and clarification of the roles of all new members shall be within the province of the membership committee. The VCE faculty member(s) supporting the VCELC shall assist in the orientation of new members. The process of recommending candidates from the districts to the membership committee shall be overseen by the VCE district directors. The process shall endeavor to recommend candidates who have had experience with VCE at the local level, preferably through membership on the local ELC, and represent the diversity of the state and the programs of VCE. While the district directors shall oversee the process for obtaining candidates, all decisions, including distinguishing between potential candidates, shall be the province of the membership committee of the VCELC. In the event a member resigns prior to the completion of the term, the membership committee will seek membership to fill the un-expired term. The slate of nominees shall be complete for presentation and election by the VCELC membership at its last regularly scheduled meeting of the council year or some other time as determined by the executive committee. Nominations from the floor will be sought. Election shall require a simple majority vote by members. The membership committee shall be responsible for monitoring and reporting attendance inconsistencies to the Executive Committee.